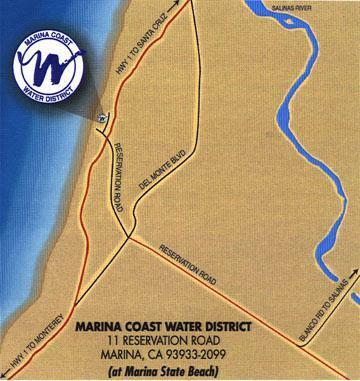 In 1958, a local group of dedicated citizens, known as the Marina Community Service Corporation, proposed the formation of a municipal-owned water system with boundaries to coincide with the existing Marina Fire District (approximately 1,600 acres). Two years later, the Marina County Water District was formed by a vote of the 766 registered voters of the then unincorporated city of Marina. In 1966, voters authorized the sale of water bonds totaling $950,000 to acquire a privately owned water company serving the area. Long before the District was formed, studies revealed that seawater had been intruding into the area's groundwater supply, because more water was being pumped from the aquifers each year than was being replenished naturally. In 1983, the District abandoned pumping from the 180-foot well because of saltwater intrusion, and, from 1983 to 1989, drilled three deep wells in the 900-foot aquifer. These wells provide Marina with its current source of water. In 1997, the District began operating a desalination plant, capable of producing 13 percent of its water supply, to supplement well water. The plant remained in service for several years before a sudden rise in electricity costs made it uneconomical to continue operating. Because of its diminishing water supply, the District continues to seek new water sources and expand its conservation programs. In 1970, Marina voters responded to an increasing number of septic system failures and requests to meet the community's growing sanitation needs by constructing a sewage treatment plant and disposal system, which was financed by the sale of $1.3 million in sewer bonds. The District operated the plant until 1993 when an agreement with the Monterey Regional Water Pollution Control Agency made it possible for Marina's wastewater to be treated at the regional treatment plant. Though the District ceased treating wastewater, it continued to operate and maintain Marina's sewer system. 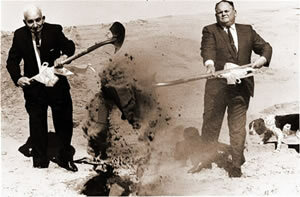 For its first 35 years of operation, the District was known as the Marina County Water District. But in 1994, its name was changed to Marina "Coast" Water District to avoid possible confusion of being an adjunct to the Monterey County government. 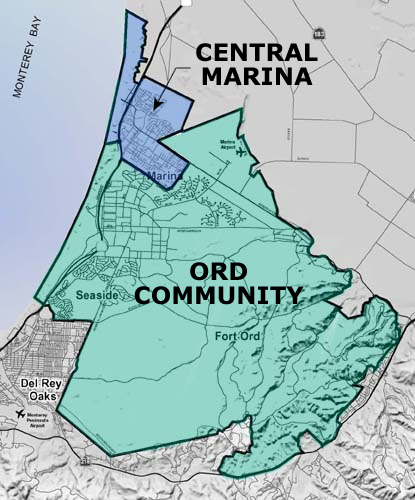 With the closure of the Fort Ord military base in 1997, the Army contracted the District to operate its water and wastewater systems and, in 2001, officially transferred the systems to the District. Since combining services and resources, the District improved its water distribution and storage efficiency while decreasing operating costs. The District is governed by a five-member Board of Directors who are elected by the voters to serve four-year terms. Eleven candidates, interested in serving their community's needs, vied for the five Board seats in the first election. These dedicated directors, who were instrumental in the formation of the District, were Raymond S. Isakson, William Williams, George E. Boutonnet, Augusta J. Briley and Robert Workman. A Strategic Plan is a top level planning document for an organization to set clear direction over all operational aspects of its mission. It serves as a framework for decision making over a five-year period. It is a disciplined effort to produce fundamental decisions that shape what a District plans to accomplish by selecting a rational and balanced course of action. The District's Mission, Core Values, Vision, and the overall structure of this Strategic Plan were developed by the Board in workshop settings. Within the framework of that structure and the business environment, strategies and goals were developed to sustain and improve the District over the next five years. At its highest level, this Strategic Plan seeks to strengthen and build upon opportunities while addressing areas of concern all aimed toward forecasting an optimized future condition. This plan also identifies actions, activities, and planning efforts that are currently underway which are needed for continued success in operations and management of the District, and provides for periodic reviews and updates.